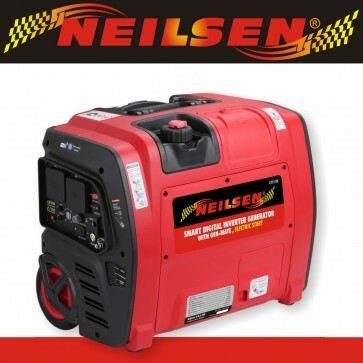 Electric Start NeilsenSE2000iE 2.1Kw Petrol Suitcase Inverter Generator with 2 Year Limited Warranty - CT5130. With electric start this generator effortlessly starts at a push of a button. 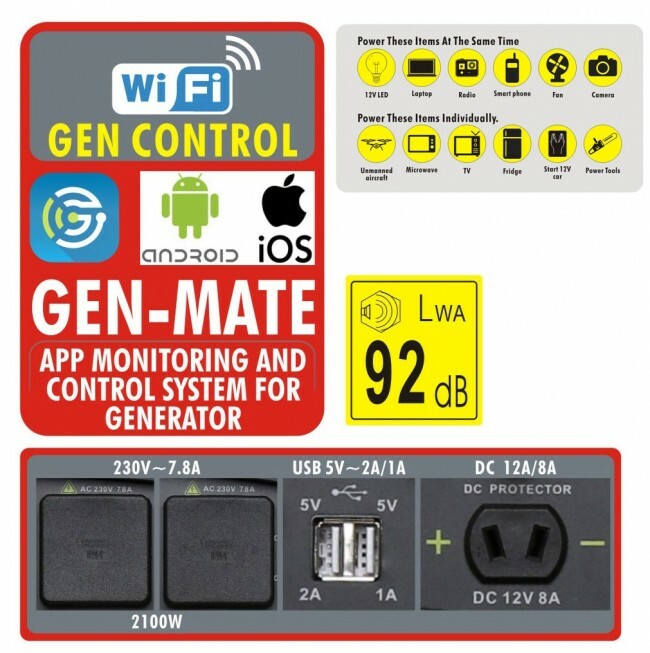 Use the Android or iOS free smart device app to monitor performance and even switch off the engine. 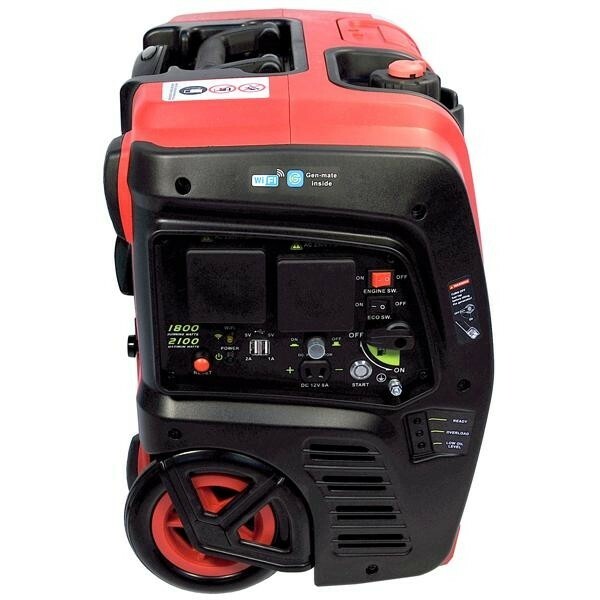 This compact light weight (26kg) inverter generator has a telescopic handle making it easy to manova around on is two wheels. Another neat feature is can be laid down on its side making it easier to fit in vehicle boots. With two UK socket outlets and twin USB outputs and 12v battery charger socket what's not to like. 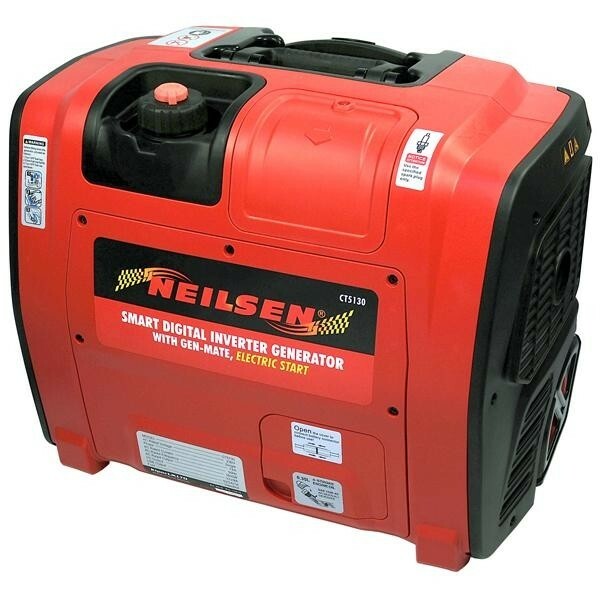 The smooth pure sine wave this generator creates means you can run your sensitive equipment like smart phones and computers without worry. 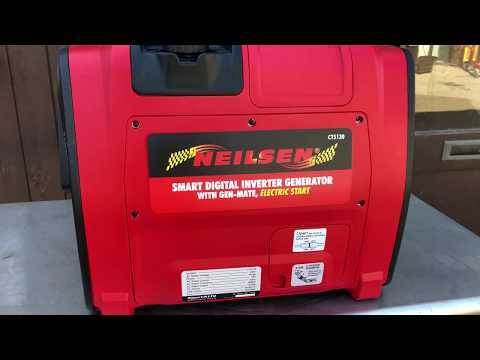 There's even USB sockets on the generator control panel. With a low noise of 50-60dB at 7m these levels even under load are quiet. 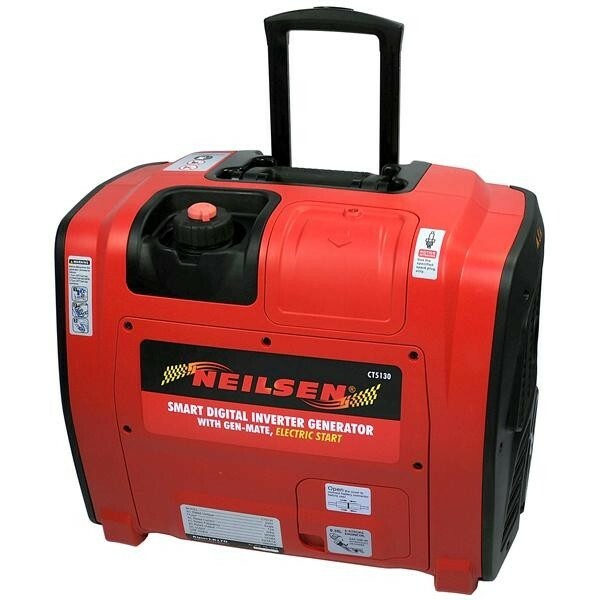 This generator has wheels and a telescope handle which makes it easy to move around. 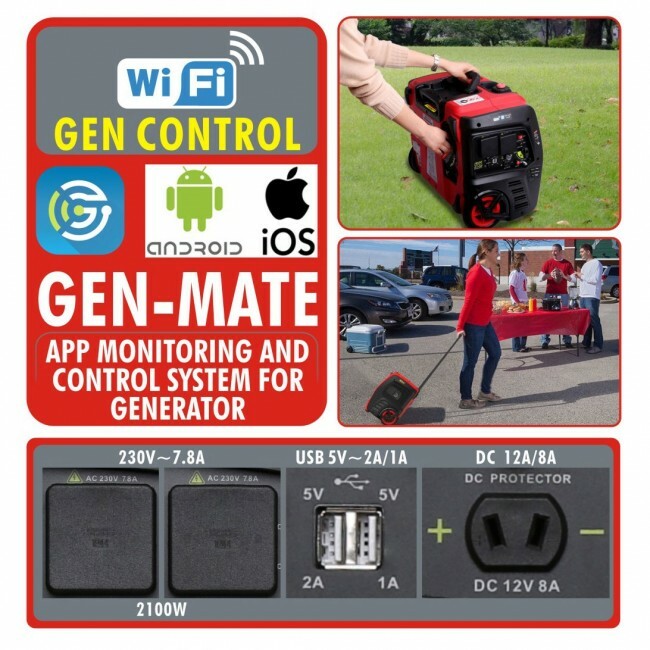 You can now monitor load, fuel consumption, maintenance and even switch the generator off with Gen-Mate Wi-Fi smartphone app available for Android and iOS devices.